TEHRAN, Iran (AP) — Iran has sentenced two human rights lawyers to six years in prison and a third to 13 years, newspapers reported Tuesday. 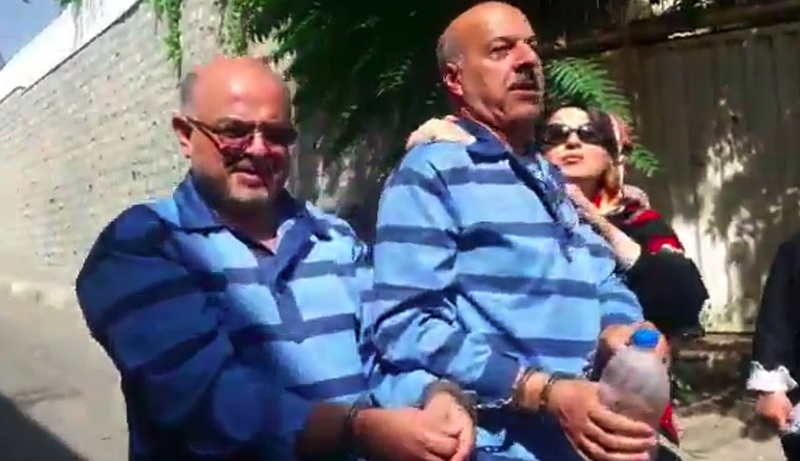 The Arman daily said Ghasem Sholeh-Saadi and Arash Keikhosravi were sentenced to five years in prison for taking part in an “illegal gathering” and one year for “propaganda” against the ruling system. It says they can appeal the verdict. The two were arrested in August when they took part in a protest outside parliament calling for free elections. They were released on bail last week. Sholeh-Saadi, 64, a longtime critic of the political establishment, was barred from running for president in 2017. Iran holds regular presidential and parliamentary elections, but a council of clerics vets candidates. Supreme Leader Ayatollah Ali Khamenei has the final word on all major policies. The Hamshari daily meanwhile reported that a court in the central city of Arak sentenced another lawyer to 13 years in prison. It said Mohammad Najafi was sentenced to 10 years for “conveying information to a hostile country” through interviews with foreign media, two years for insulting the supreme leader and one year for publicity in support of opposition groups. Najafi was jailed in January when he voiced support for people detained that month during anti-government protests. The demonstrations, which focused on economic grievances, lasted for days and resulted in the deaths of dozens and the arrest of hundreds more.